Aside from that, as the sender, you have the responsibility of making sure there is accountability to the messages that you send. You have to let your receiver have an idea how they can trace the source of the information you have so kindly shared with them. With that said, it is important to indicate your name as the sender, who or what you are affiliated with, other contact details, and so on. This is why when sending professional emails, it is important to have a functional and well-informed email signature.You may also see modern email signature examples. 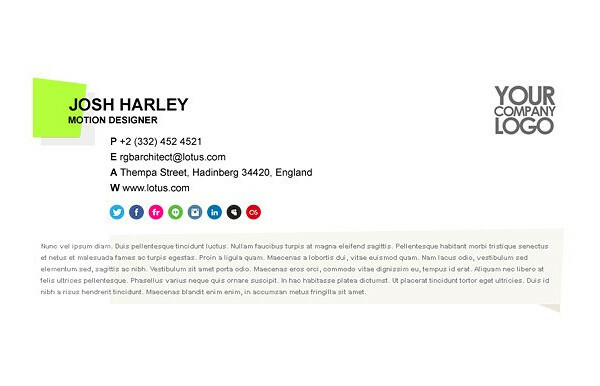 Since you have aptly used your email signature as a way of branding, once everyone on your team uses an official template for an email signature, you can create an effective brand recognition to anyone you communicate with. As the name would suggest, brand recognition is a strategy or extent wherein you cohesively use an image to which your customers can correctly identify said image and associate it immediately with your company. 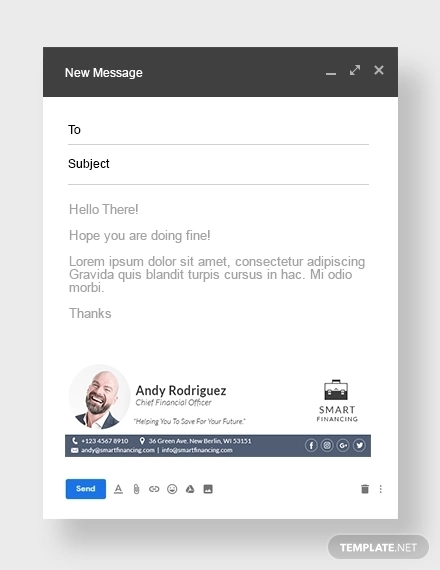 Through a cohesive and unified email signature throughout your employees, you can establish an effective brand recognition between your customers.You may also see web developer email signatures examples. Since an email signature contains important contact information about the sender as well as the company or organization he/she works for, it can be used as reference whenever the receiver wants to start a new correspondence. 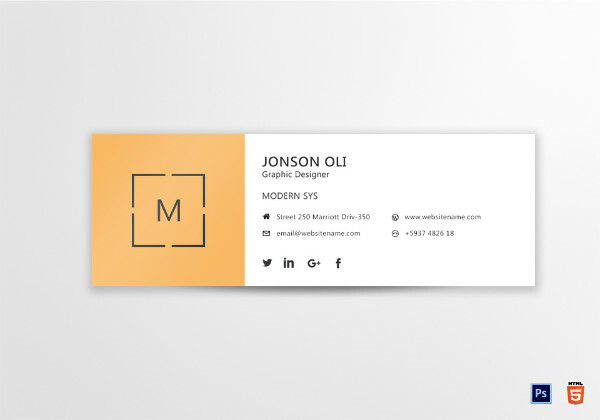 In a way, it is a business card used digitally since it provides business contact information as well as other relevant information needed to start a conversation or correspondence. 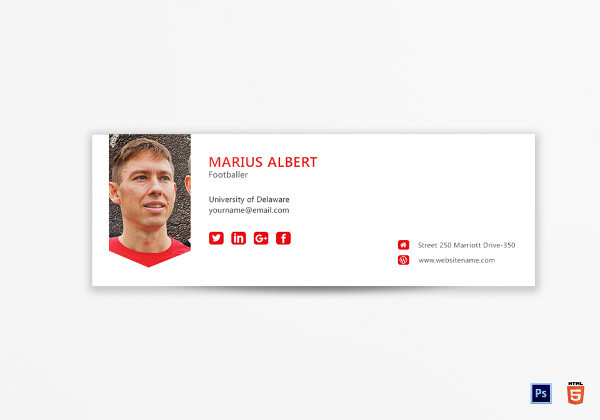 Through an email signature, you can start up new conversations, encourage inquiry about the business, spark interest with the design and template, and so on.You may also see college email signature examples. In business, personal association is an advantage. 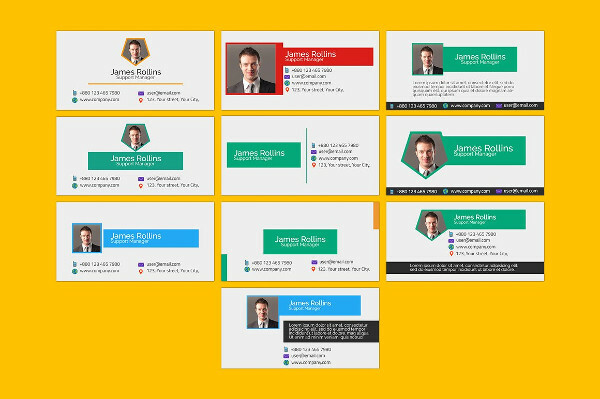 If you use an email signature template or design that allows you to include a picture of you can be advantageous since your receiver/s can easily get to know you just through your digital correspondence. In this case, your receiver/s may personally ask for you whenever they want to get into a business transaction with your company. This will also allow your receiver/s to establish a personal connection with you or other employees form the company even when transactions are only done digitally or virtually.You may also check out here sales manager email signature examples. An email signature can be effectively used to establish a deeper relationship with your customers through providing direct links to other modes of communication they can use to start a conversation with you and your company. 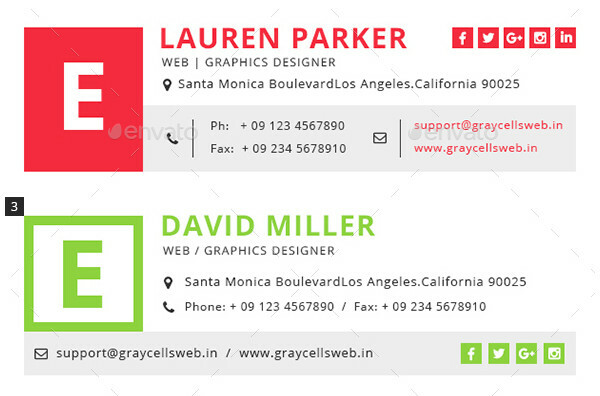 Through providing links in your email signature that directly leads to your company phone number, you customers can make a quick call to you for any inquiry. 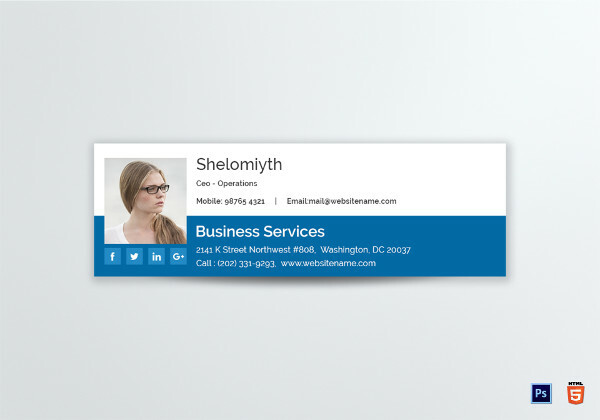 You can also build your social community by including social media icons that lead to your accounts where they can connect with you and other customers on a deeper level.You may also see training email signature designs. The name you include in an email signature should be your actual complete name. Avoid using or including aliases or nickname as it can steer away form the professional feel that you are going for. Including the actual position you have in the company will make you more credible in the eyes of your receiver/s and/or customers. 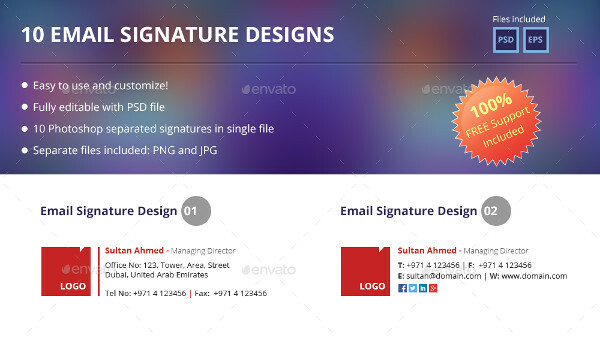 It also strengthens the professional feel of the email and it is an effective way of taking accountability for the sent email.You may also check out here printable corporate email signature designs & examples. As mentioned earlier, an email signature is basically a digital business card, thus, it is important to include a contact number in your email signature. If possible, add quick links where your receiver/s can just click the link and then they can immediately call you right after.You may also see tech startup email signature designs. If you, as an independent business, or your company has an official website that your customers can scroll through to find out more about you and what you do, better include it in the email signature.You may also see human resource email signature designs. 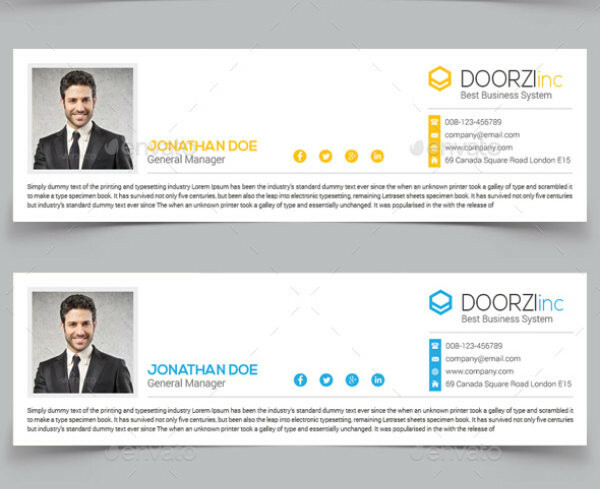 Including a picture of you on your email signature allows your customers to establish a personal connection with you. It allows them to personally associate you when talking about the company, products, services, and so on.You may also see company email signature examples. A legal disclaimer in your email signature allows you to somehow limit the legal liability of your company and/or to limit misuse or misinterpretation by clarifying how your emails should be used. Aside from branding, there should also be consistency for the whole company. 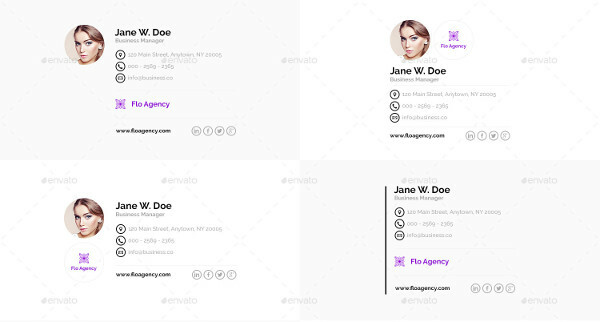 This means that every employee in the company must use the same email signature design and layout. It should contain the same logo, the same contact information (aside from the name and position, of course), and so on. Every email signature should translate a unified front from your company as a whole.You may also see business manager email signature examples. 1. Avoid including too much information. 2. Prioritize contact information than promotion/s. 3. Keep your color palette small and consistent. 4. There should be harmony with your fonts; avoid using to many fonts. 5. Arrange information in an hierarchical order; important information first. 6. 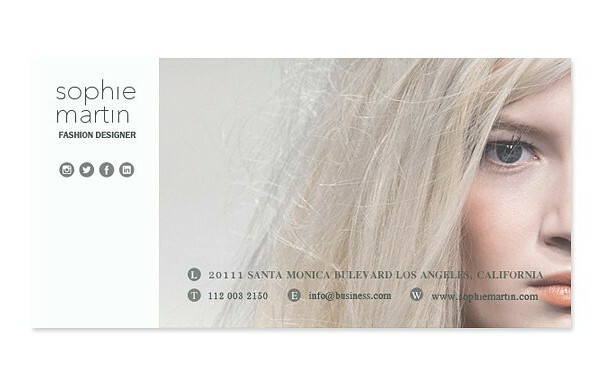 Keep your graphic elements simple and easy on the eyes. 7. Use social media icons to increase traffic. 8. Align all elements of your design. 9. Make use of space by using dividers. 10. Allow it to be mobile-friendly. 11. Maintain balance in your design.